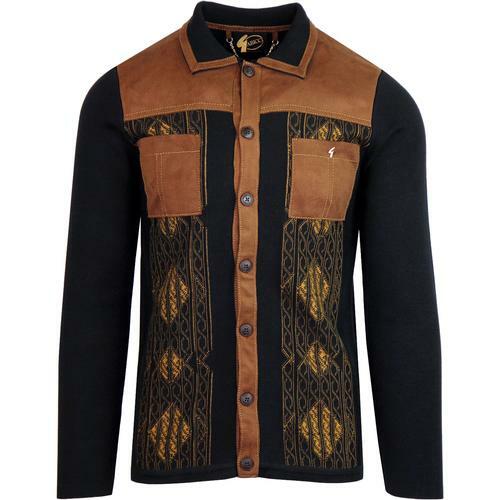 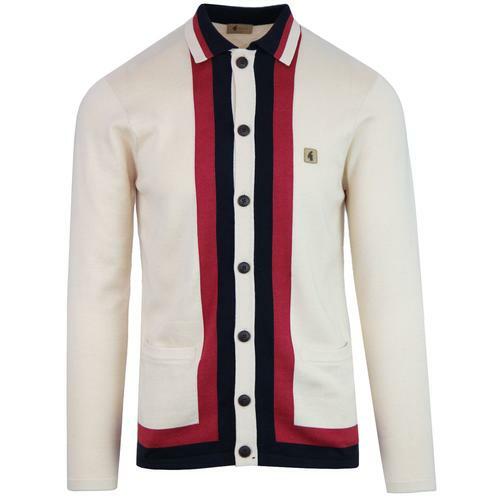 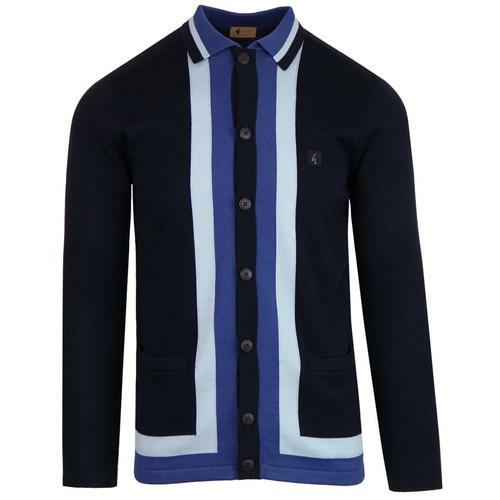 Gabicci Vintage Danecroft retro 70s button through mod polo cardigan in oat. 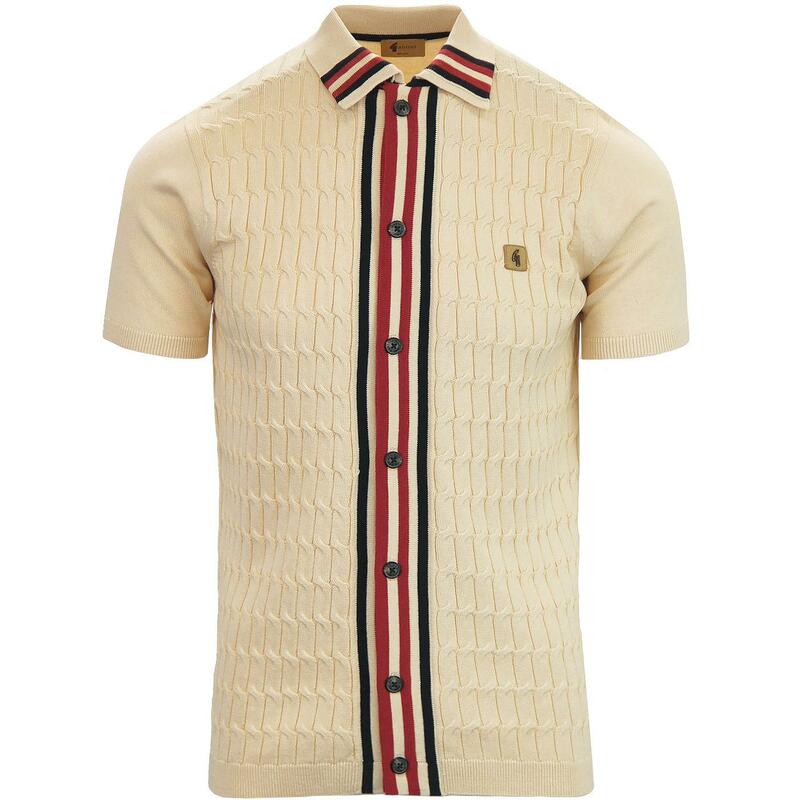 Short sleeve with retro cable knit front and contrast striped placket and collar tipping. 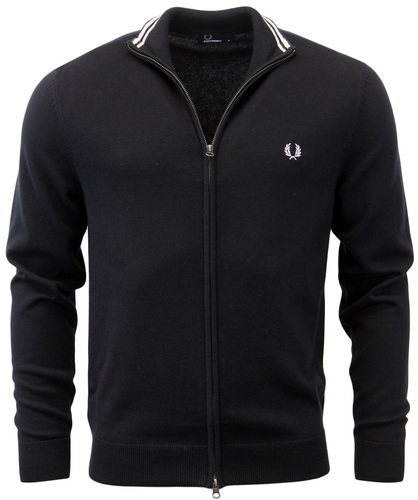 Open welt waist, plain knit sleeves and reverse. 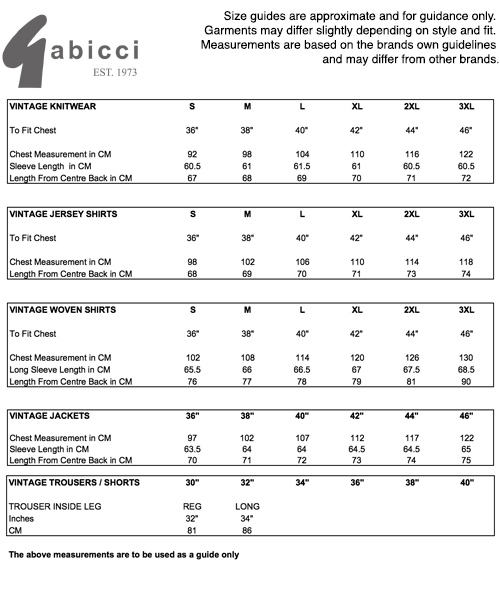 Gabicci Vintage G branding to left chest.